What, you might ask, are the the images on our logo? They’re microscopic shield-like scales that surround sea organisms called coccolithophores, a kind of phytoplankton. They may be small, but they can occur in outbreaks the size of entire countries. The light blue-green patches you see off the bay at St. Margaret’s in Spring are blooms of coccolithophores. These tiny scales stay suspended in the water and reflect light, much like what would happen if you stirred glitter or sequins into the water. And then when the phytoplankton die the skeletons which are composed of the calcium carbonate sink to the sea floor and over millions of years form chalk. So these tiny microscopic cocoliths are the miniscule building blocks of the mighty white cliffs. 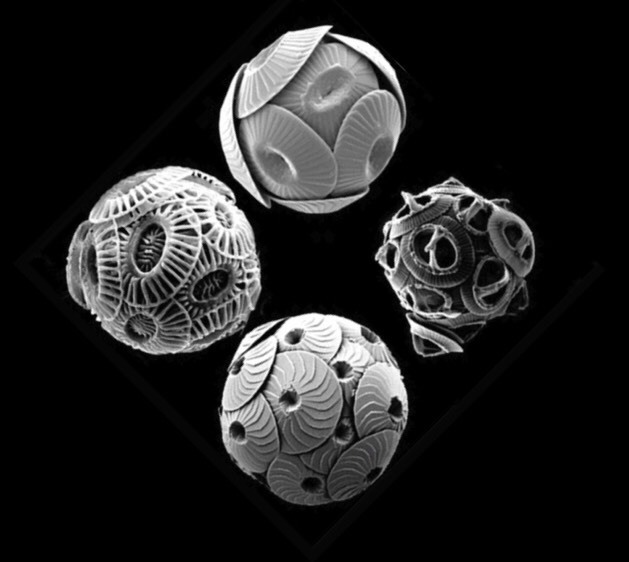 Coccolithophores are also an indicator of the health of our seas and oceans around the world and a reminder to us all of the importance of caring for our world.